We have a long history of working on collaborative geoinformatics projects across Europe and beyond. Here are some of the projects and initiatives we are involved in. For the European Geological Data Infrastructure (EGDI) project, we are working on European societal challenges, trying to achieve increased coordination and more sustainable accessibility of geological information at EU level. This project assessed how to achieve this goal, looking at relevant use cases, datasets, functional and technical requirements, legal topics and governance framework. ENVRIplus brings together environmental and earth-system research infrastructures, projects and networks together with technical specialist partners to create a more coherent, interdisciplinary and interoperable cluster of environmental research infrastructures across Europe. The European Plate Observing System (EPOS) is a long-term plan for the integration of national and transnational research infrastructures for solid-earth science in Europe, to provide seamless access to data, services and facilities. The EVER-EST project is creating a virtual research environment for the Earth Science community. 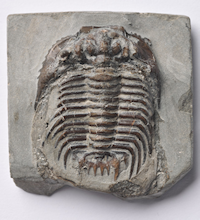 The GB3D Type Fossils Online project, funded by JISC, aims to develop a single database of the type specimens, held in British collections, of macrofossil species and subspecies found in the UK. GeoSciML is working with partners across the world to create a geology exchange language. We contributed to the development of the INSPIRE Directive at several levels. Most recently leading the development of mandatory EU guidance on the interoperability of geological, mineral resources and natural risk-zones data. The National Hydrocarbons Data Archive (NHDA) is the primary, long-term data archive for the geoscientific legacy resulting from UK offshore oil and gas exploration and production activity. The Ocean Data Interoperability Platform (ODIP) contributes to the removal of barriers hindering the effective sharing of data across scientific domains and international boundaries. The OneGeology project has built a geoscience data and information platform through the provision and utilisation of standardised web services by geological surveys and institutues across the globe. OneGeology Europe created dynamic, interoperable and harmonised geological map data for Europe. It made a significant contribution to the progress of INSPIRE by developing systems and protocols to better enable the discovery, viewing, downloading and sharing of core European spatial geological data. PanGeo provides free access to geohazard information for many of the largest cities in Europe. PanGeo was a three year collaborative project of the European Commission providing free online geohazard information for 52 of the largest towns in Europe. Minerals4EU was designed to meet the recommendations of the Raw Materials Initiative and is developing an EU mineral intelligence network structure delivering a web portal, a European minerals yearbook and foresight studies. The network will provide data, information and knowledge on mineral resources around Europe, based on an accepted business model, making a fundamental contribution to the European Innovation Partnership on Raw Materials (EIP RM), seen by the Competitiveness Council as key for the successful implementation of the major EU2020 policies.